Have fun while learning a foreign language with Memrise. The more you enjoy learning, the more (and quicker) your skills will develop. This is why entertainment mixed with real-life, relevant content is at the very core of the Memrise language learning experience. Do you want to connect with the world? Get ready for your next trip or adventure abroad? Improve your grammar? Or are you looking for the best way to learn a language? Then join our community of over 30 million language learners and develop real-life language skills through a rich variety of easy-to-use games, innovative chatbots and over 30,000 native speaker videos. Learning languages has never been so simple! Memrise is also a platform with 1 apps listed on AlternativeTo. Browse all 1 apps for Memrise. One time purchase that cost about $129, and / or subscription that costs between $5 and $9. Price may vary depending on commitment and so on. Memrise was added by PaulTR in Apr 2011 and the latest update was made in Mar 2019. The list of alternatives was updated Apr 2019 There is a history of all activites on Memrise in our Activity Log. It's possible to update the information on Memrise or report it as discontinued, duplicated or spam. 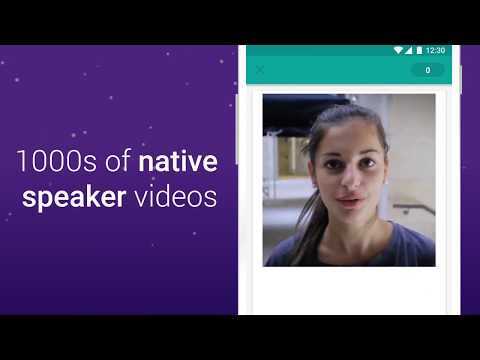 Alternatives to Memrise for Web, Android, iPhone, iPad, Windows and more. Filter by license to discover only free or Open Source alternatives. This list contains a total of 25+ apps similar to Memrise. Great for learning languages and other subjects. I love the fact you can navigate and use memrise without lifting your hands from the keyboard.